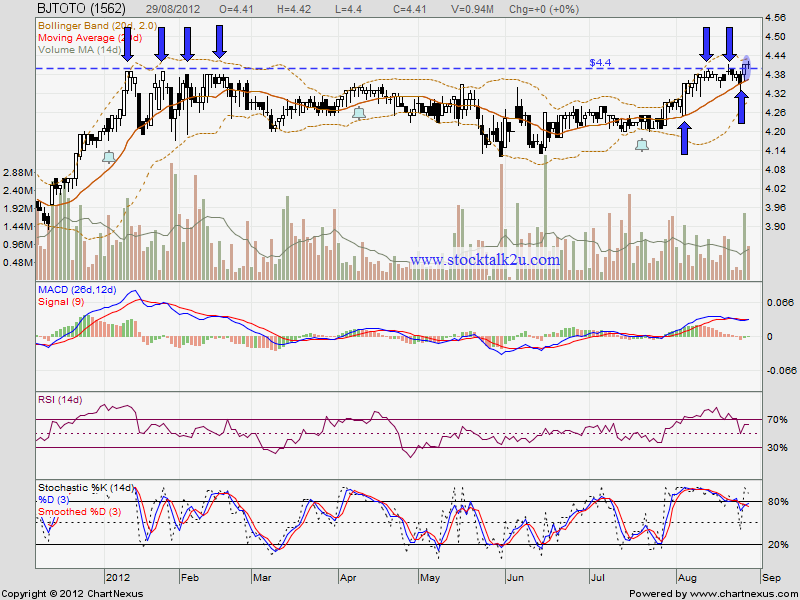 BJTOTO succeed break through RM4.40 resistance? High probably it will go higher. If retrace down, MA20 is immediate support. 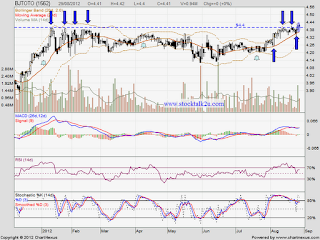 Due to huge volume of share buy back (into treasury stock) on August, potential bonus issue / special dividend. Btw, if we follow the news from The Sun Daily, BJTOTO been proposed 50cent special dividend. Do watch out coming quarter result, which will announce around mid of Sept.